Aww yes. The weekend. A word most people cling too! I am with ya. The weekend gives us a break from our routine, lets us enjoy more company, lets us sleep a little more or stay up a little later (guilt free), and lets us play! As for the Cotters, it gives a chance to catch up on some much needed Vitamin D…..by hittin’ up the trails! Did you know that sunlight is the best source of Vitamin D? Well, now you do, duh! In just 15 to 30 minutes, sunlight can produce 10,000-20,000 IU (250-500 mcg) on the skin………..
Those who do not get plenty of bright sunlight several times a week need vitamin D supplements. Most vitamin D researchers recommend at least 4,000 IU (100 mcg) a day, but even that isn't enough for many people. The hubs and I usually take a liquid capsule Vit.D supplement of 5,000 IU every other day or daily during the winter. While this works well for us, it might not work best for you. It’s best to have yours Vitamin D levels tested before taking too much or too little of this dosage. So what about food? Where can you get the best sources to eat? Well to name a few……eggs, dairy fat, liver and fish. Wild mushrooms are the only natural vegan source. Vitamin D is also added to margarine and dairy products in many countries, sometimes also to cereal. Anybody else craving liver? JK! So why Vitamin D? What gives? Adequate intake of vitamin D has a myriad of benefits, especially in disease prevention. It has been associated with lower risk of e.g. osteoporosis, cardiovascular disease, both types of diabetes, many autoimmune diseases and many types of cancer, even depression and influenza. Had enough talk about Vitamin D? I’ll leave you with 2 things. First a laugh. Just watch how our dogs is as OCD as me. Second, the simplest egg recipe ever. Yes, of course it’s a vitamin D recipe! 3 organic eggs, 1/2 cup organic egg whites, 1 tbsp flaxseed, dash of almond milk and salt. Mix all together in bowl, spoon into 6 muffin cups. Bake at 375F for 15 minutes or until golden. Feel free to dip in ketchup, salsa, tobacco, guacamole, etc. VOILA! Vitamin D in cup! So, anyone else get some Vitamin D this weekend? If so, do tell! Wanna know how to recycle all those holiday nut mixes that were given to you? I’ll post a recipe this week about how to do so. But here’s a hint. They end up looking like this! What can I say, I was feeling nutty and decided to bake, once again. I am so so jealous of your vitamin D dosage...beautiful weather. LOVED the video, can I have your dog oh and of course you look beautiful as always!! Love getting me some Vit. D and as always you have the BEST recipes...those look amazing! Love the little egg muffins! What a simple and delicious recipe! I WISH I Could get some natural vitamin D! with the snow over here, thats not really happening! I used to get a vitamin iv push once a week - I managed a naturopath clinic and ... well, I just LOVED them. In the winter months we'd add vit D.
and I *LOVE* those egg muffins. Sadie is too funny!! That made me laugh. Thanks for the reminder on the vit D. I know I definitely don't get enough during the winter. May need to think about trying a supplement. Loved seeing you guys out there enjoying your Vitamin D intake. I have to say, I think I'm getting a quadruple dose sitting here in my shorts and t-shirt. LOL! Your Sadie is a doll baby! Glad you guys are having fun on the trails. I LOVE AUSTIN!! I love eggs..thanks for the recipe! i love the viatmin D love! i'm thinking that my move to TX needs to happen NOW rather than later hahh! Sadie is so cute! Glad y'all are having great weather down in Austin - gorgeous here today, too. Love learning more about Vitamin D. I know I always feel better when I spend time in the sunshine. Haha! That video was so funny! Poor Sadie, though, I can relate, as I have some OCD issues as well! Oh girl, I am sooo with you on getting outside for some D. Makes all the difference - especially when you're with your hubby! your dog is so funny. You are beautiful! your food looks amazing. And I'm jealous of your sunshine! :) Hope you have a fab week! Also.. I dont know why, but a lot of animals wont walk over grates. Some farmers use gates instead of fences on the property to keep their cows from straying.. WEIRD! I think I would OD on flax if I made those. I know that I would eat all 6 muffins and that much flax might cause probs, no? Or maybe it's just me :/ ? aww sadie- poor thing has no idea she can't fall through the grates! ;) I miss being outside like that! 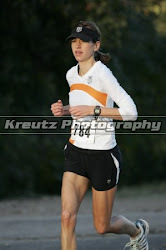 :) the trails look awesome for running! Beautiful trails!!! I love eggs!! A total believer in Vit D! The trees still have color on them?! Crazy, we've had snow for weeks now, but I may have gotten some vitamin D while snowboarding for a few hours. This was really interesting to read - we talked a lot about vitamin D in infancy development in one of my nutrition classes this semester. Gotta love the SUN!! I should spend some more time in it. Really good information! I'm so jealous you can go outside... I've got to find a way to get to Austin! Sadie!!! Hahah that is so cute that she is a little bit OCD :) Dogs have soo much personality. Looks like you and your husband had a really nice day on the trails getting your vitamin D!! Sadie is so cute! My dog is the same way with manholes and any kind of grating in the sidewalk. It must be pure, smooth concrete for him to walk across it! Wow, this weekend's weather treated you well! And your dog is hilarious! Those egg-muffins (eggins! hehe) look awesome. These will be my next recipe victim! What a great to-go recipe for work snacks. Hmmm... filling these with something would be fun too. I love that video! And the focus on Vitamin D...I swear I've been a little S.A.D. lately and focusing on my Vitamin D consumption has made a difference. Living in Michigan, Jan - March was brutal, little sunshine. You catch cabin fever, bad! Beautiful pics (make some babies!!) and I've been dying to get those silicon baking molds, might add that to my Santa list. Vitamin D...I am a fan of it...Sunshine baby!!! Bring it! I severely lack Vitamin D since I am cooped up in an office all day long! Thanks for the great information...and I must say how much I love your hair! Your so cute....I like this post! Your muffins look great! Awesome job!